is a non-sectarian organization dedicated to awakening compassion, awareness and wisdom. Founded by the Venerable Namgyal Rinpoche in 1966, the Dharma Centre of Canada is an extended community which maintains a study and meditation facility north of Toronto. Our Kinmount facility can be rented by groups for retreats or workshops, and by individual practitioners of meditation. All approaches to meditation and faith traditions are welcome. There is a temple with a large teaching and meeting space, a kitchen and dining room in the Main House, a tea-room and washrooms in a separate building nearby, and residences accommodating up to 40 people. The property covers 400 acres of beautiful woodlands and meadows with walking trails, a river with its beaver dams, marshes, and lakes. is a Society for Eastern and Western Studies and is based on Galiano Island, in Bristish Columbia, Canada. ‘Buddha dharma’, in its widest sense, means simply ‘the laws that underlie the awakening of human beings’, and it cannot be confined to any particular religion or culture. Though we recognize the value and necessity of preserving and supporting traditional forms, our primary concern is with furthering the inevitable development of a Western expression of Buddhism. Clear Sky is a non-profit, charitable organization created to nurture universal teachings of awakening. Focusing on Buddhadharma and Western Mystical teachings, the center is dedicated to providing an environment for practice and study. Clear Sky serves to motivate and inspire students from around the world, now and for generations to come. The beautiful Wangapeka Meditation Retreat Centre runs retreats and events through-out the year. Our retreat centre is located in the pristine foothills of the Southern Alps overlooking the Wangapeka River, about an hour and a half drive SW of Nelson, New Zealand. The Wangapeka is a dedicated retreat centre that has optimal conditions for deep, peaceful contemplation; restoration; and the on-going exploration of mindfulness and meditation. It shares a combined aspiration with our other affiliated retreat centres to be a place of study for communities of the contemporary world. The Wangapeka welcomes bookings from non-affiliated groups and solo retreats, and is open to people from all walks of life. The Queenstown Dharma House welcomes young people and international travellers as well as local residents of Queenstown. We host teachings by Lama Mark Webber, Tarchin Hearn and by many others. Weekly events include introduction to Meditation classes, Chenrezig Pujas and Group Meditations. 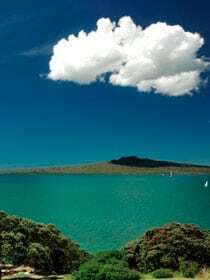 Classical Teachings for Modern Day Living – established in the 1980’s, The Auckland Sphere Group runs meditation classes, group sits and retreats in Auckland City, New Zealand. Come and learn meditation practices from these highly skilled teachers who are dedicated to developing Mindfulness, Insight, Compassion and Non-Clinging Awareness in daily life. Meditations are taught on Mindfulness, Buddha-Dharma, Western Mysteries, Archetype, Vipassana (Insight), One pointed concentration (focus and clarity) and Calm abiding. We welcome all for respite, retreat and personal or group activity: yoga groups, health groups, meditation, carers/caring organisations, bush walkers, activists, environmental or school/youth groups, art groups and individuals – all have used Origins. Stories from students about their time spent studying with Ven. Namgyal Rinpoche over the years, and includes some of their course notes.